Alright all you plastic egg buyers out there. I know those bright plastic eggs are easy to buy and easy to hide but come on people you can get a little more creative than that! 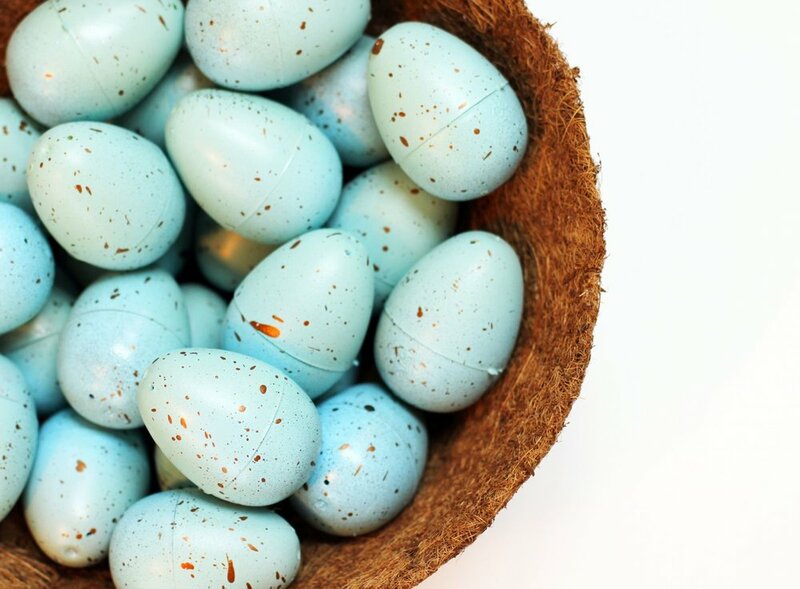 You know those gorgeous blue speckled eggs you see in magazines!? Well these are bright colored plastic eggs spray painted to look like those fancy blue speckled eggs! I know, I know, I know .... we are so freaking clever over here at Lilyshop. I call them plastic fake-out blue speckled eggs. Learn how to make these bad boys below. 1. Stand up your toothpicks in sets of two all over your piece of styrofoam. Now set an egg on each set of toothpicks. This way all of your Easter eggs are standing upright and you can spray paint them evenly without touching them. 2. Lightly spray the "aqua" spray paint all over the eggs. Let dry. 3. Go over the eggs with a gentle coat of "Carolina Mist" spray paint and let dry again. 4. Now touch up all over the egg and remaining spots with "Aqua" color once again and let dry. 5. Using a tiny paint brush gently flick bronze paint on the egg or dot little specks all over the egg so it looks random.